As this Aussie Adventure departs at 7.45am, accommodation will need to be pre-booked for the previous night. With over 100 wineries set amongst picturesque landscape, the Hunter Valley region offers great food and amazing wines. Start the day at Drayton’s winery and try their famous white port. Embrace the ambiance of Hope Estate and take a guided walk down the rolling hills and through the vines. There is a brewery on-site and you will have the opportunity to taste beer or cellar door wine. Enjoy a tasty wood-fired pizza lunch over a glass of wine or beer as you chat to new friends. We then visit one more winery where you can taste more fine wines and even buy a few bottles to take home. Our small group allows us to visit boutique wineries for an intimate tasting experience. 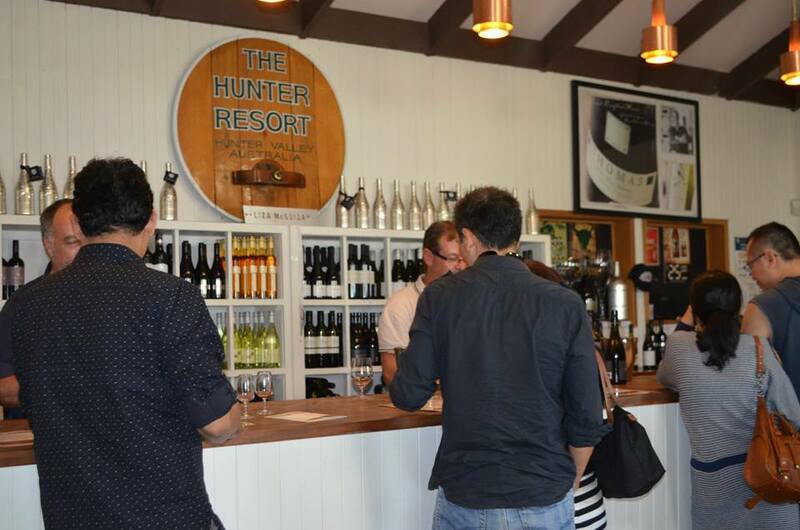 Spend the afternoon relaxing at the Hunter Valley Village. Don’t miss the delights in the chocolate shop. Tonight you’ll stay at the Hunter Valley YHA. The hostel is in a country setting between Cessnock and the wineries, with a pool, outdoor BBQ, kitchen and lounge room. Why not rent a bike to explore further on your second day? Hotel: Hunter Valley YHA (Budget), Dormitory, Shared facilities. You have a free day to explore on your own. Why not visit the beautiful Hunter Valley Gardens. Spanning over 24 hectares and with eight kilometres of carefully constructed pathways, you can explore each magical themed garden at your leisure and marvel at the number of plant species on glorious display (own expense). Alternatively, drop into a café for a bite to eat in the Hunter Valley Gardens Village. This afternoon rejoin your coach and Driver Guide for your return to Sydney, where your Aussie Adventure concludes. Tue, Wed, Sat from 7.45am, Sydney or earlier from selected Sydney pickup locations. 2 night stay is available on request.